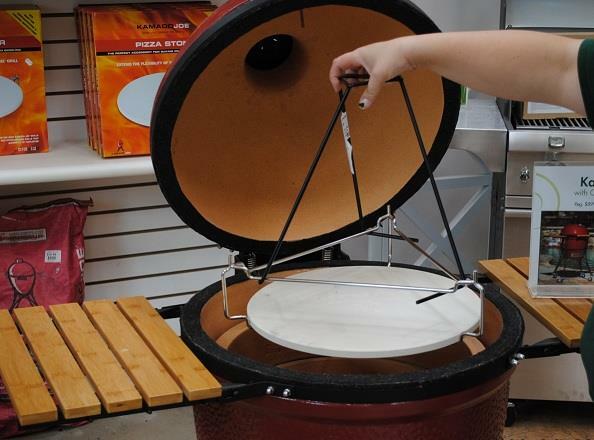 Made for Large (18″) grills. 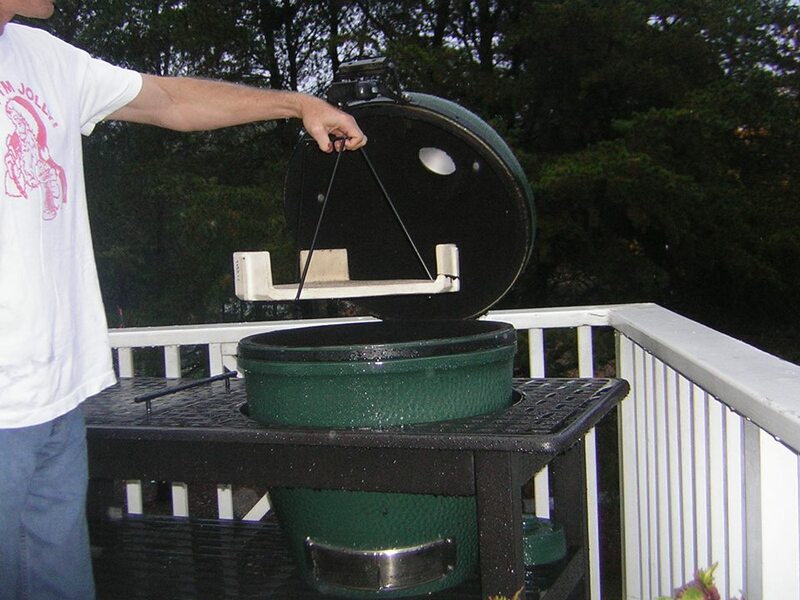 Designed to work with two 14″ pizza stones (the Big Green Egg brand pizza stone is perfect). 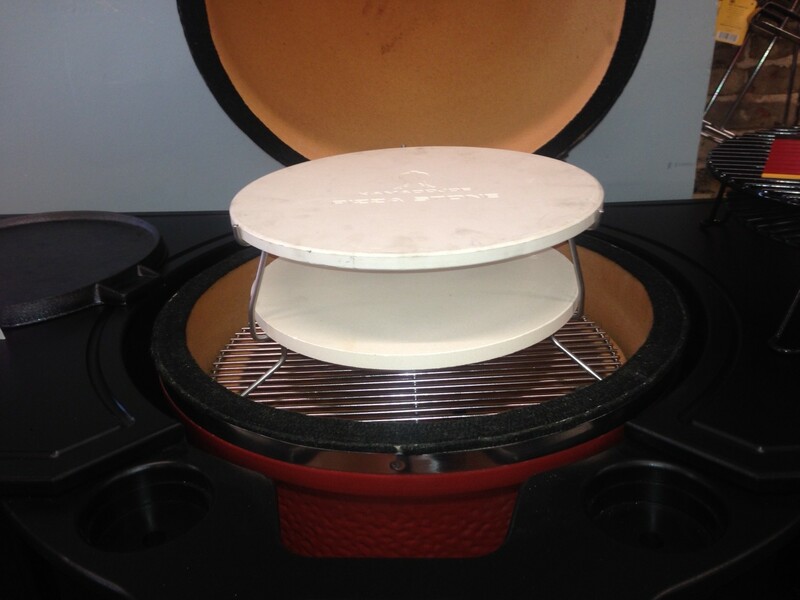 If you have a Kamado Joe pizza stone it will fit the top but not the bottom. This one is for those of us that need a little more space and time. 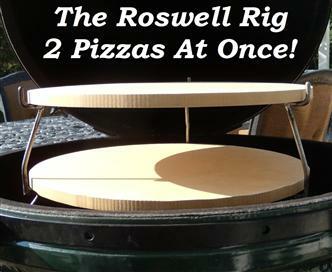 We are always baking more than one pizza and or calzones, and as a result we never get to all eat at the same time.Now you can double up! 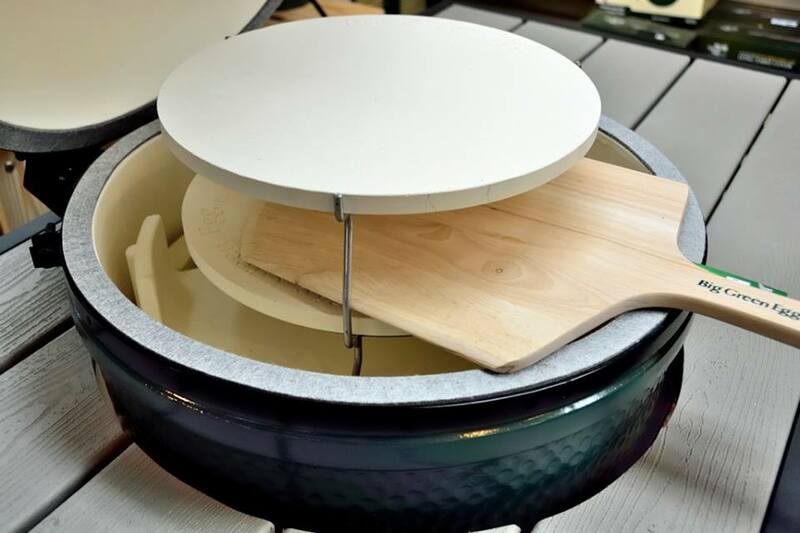 It uses two standard 14″ baking stones. 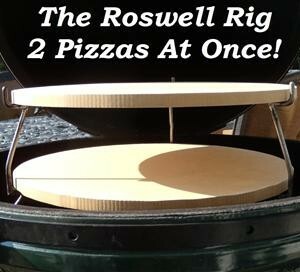 The legs on the rig are spaced so a standard 12″ pizza peel will work. You will need to play with this one. It does not cook exactly like having one stone in the grill.